After making a couple of adjustments to its strategy, Samsung is finally ready to make a comeback to the low-end and mid-range markets. Enter the Galaxy M-series - the Galaxy M10, in particular. The phone is the cheapest from the lineup while trying to cover all of the basics. But it's going to be tough in India where the M10 is aimed at. We've got a couple of Chinese makers closing in on both sides so the competition is heating up. 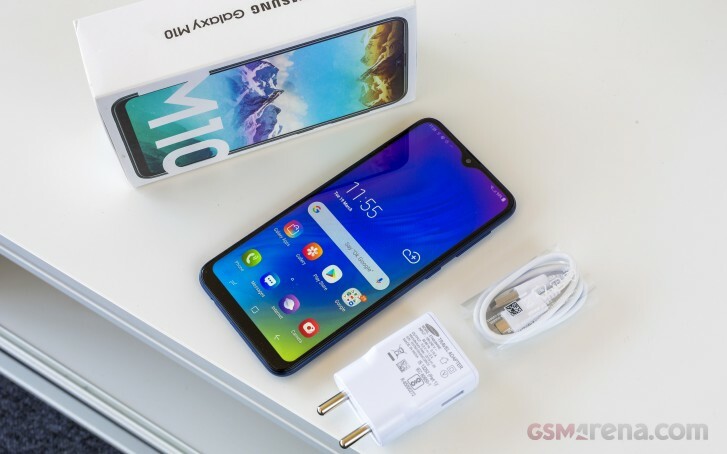 The Galaxy M10, however, is one of the few Samsung-made devices with an IPS display instead of AMOLED but that was to be expected - the Korean giant wants to keep the cost as low as possible. We also have an octa-core CPU on board fitting nicely in the $130-150 price range. A big battery, an ultra-wide lens and a large screen are one of the key selling points. 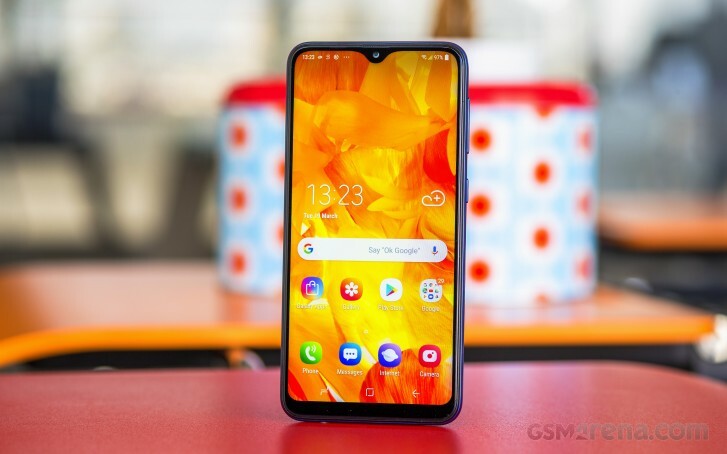 However, when comparing the Galaxy M10 to the Realme 3 or the Redmi Note 7 (although a tad more expensive), Samsung's offering becomes harder to recommend. But there's probably more to it than just numbers on a specs sheet, right? Let's dive in deeper to see in which departments the Galaxy M10 shines and whether it worth your hard-earned money. Screen: 6.22" PLS TFT (IPS), 720 x 1520px resolution; ~270 ppi. Memory: 2/3GB RAM, 16/32GB built-in storage, microSD slot support. OS: Samsung Experience 9.5 based on Android 8.1 Oreo. Rear camera: 13MP f/1.9, 1.12µm, 1/3.1", PDAF support + 5MP ultra-wide f/2.2, 1.12µm; LED flash; 1080p@30 video recording. Front camera: 5MP f/2.0; 1080p@30fps video recording. Connectivity: Dual-SIM; LTE Cat.6 (300Mbps) download / Cat.6 upload (50Mbps), Wi-Fi b/g/n, GPS; Bluetooth 4.2 A2DP, LE, microUSB 2.0. We've received the phone in its original packaging with the usual user manuals, SIM ejector and, of course, the microUSB cable for data transfer and charging. The brick supports only up to 5W charging (5V/1A) but you can squeeze in a little bit more juice if you use a third-party charger.